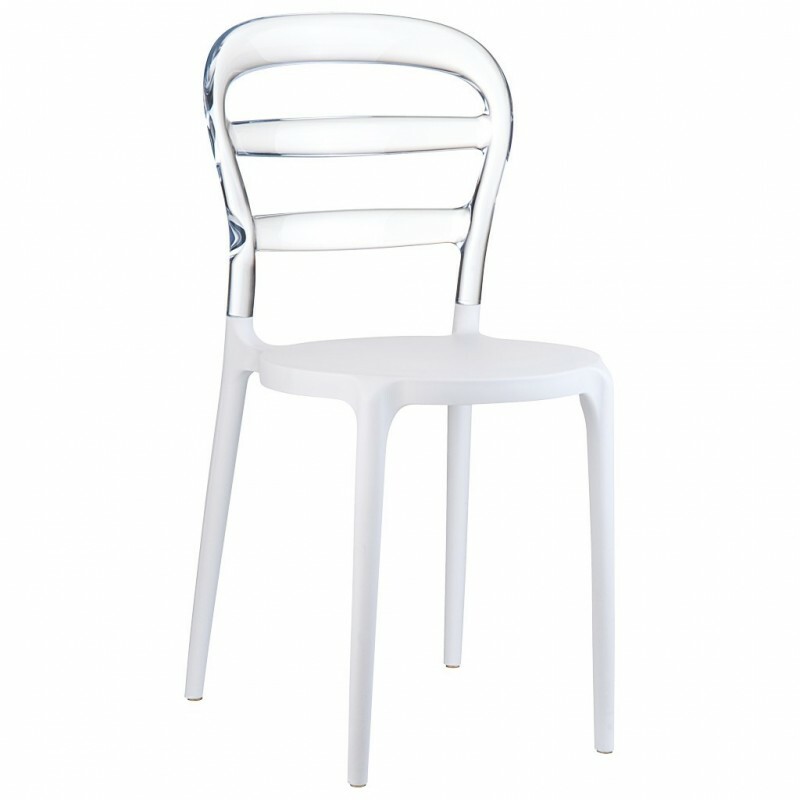 Dimensions: total height 85cm, seat height 47cm, width 42cm, depth 50cm, weight 3,95kg. 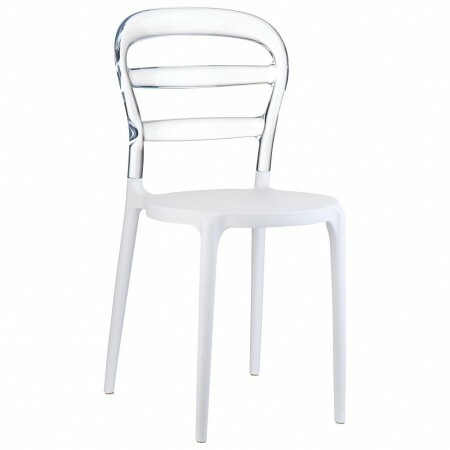 MISS BIBI is a original and comfortable stackable chair which can be used both indoors and outdoors. A colorful and elegant chair, which thanks to its particular configuration, is able to integrate in any environment. Extremely solid and robust, is in fact been designed for "contract" market, where the use intense and continuing of the furnishings is frequent and where the robustness in the long run must be a guarantee. MISS BIBI is built with the innovative system latest generation to air injection moulding thermoplastic and it's composed of, seat in polypropylene reinforced with glass fiber and backrest in transparent polycarbonate. Furthermore, this article is also equipped with treatment against atmospheric agents, as well as protection from UV rays in order to avoid possible discoloration.